Welcome to Pass Mountain Rentals! Whether you are looking for a getaway in the Blue Ridge Mountains or on the banks of the Shenandoah River, we have the perfect retreat for you. Pass Mountain Rentals’ cabins offer you the options of rustic elegance, seclusion, a four-person hot tub, a Brunswick pool table, and one of the most spectacular views in the Shenandoah Valley. Our cabins are located within a two hour drive from downtown Washington, D.C., and are conveniently located near numerous area attractions including Shenandoah National Park, Luray Caverns, canoeing, hiking, Civil War battlefields and much more! The Rocky Branch Retreat is nestled on 90 acres in the foothills of the Blue Ridge Mountains 6 miles east of Luray, Virginia, largely bordered by the Shenandoah National Park. Facing west, the chalet features a spectacular view of the Page Valley and gorgeous sunsets. Wood paneling made from native black walnut trees logged from the surrounding forest graces the interior. The two massive wood burning fireplaces are built of stone gleaned from the adjacent fields. We are open year-round, weather permitting. 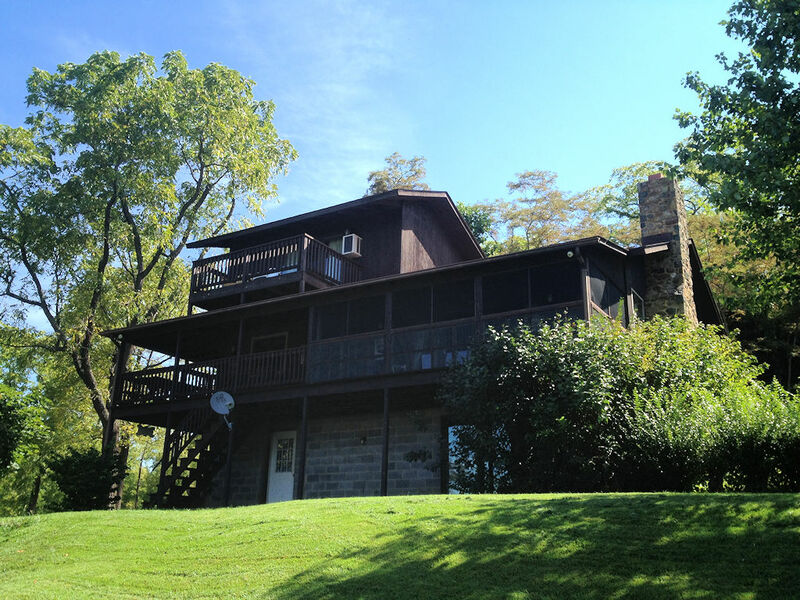 The River House is our waterfront house rental on the banks of the South Fork of the fabled Shenandoah River about 5 miles North of Luray, Virginia. It features four bedrooms, two baths, a den, living room, dining room, and fully equipped kitchen. Enjoy your morning coffee or evening glass of wine on the screened in porch or from the circular hot tub on the open deck. Other amenities include central air/heat, satellite TV, gas fireplace, stereo, phone and of course, spectacular views of the Shenandoah River and surrounding Massanutten Mountains.